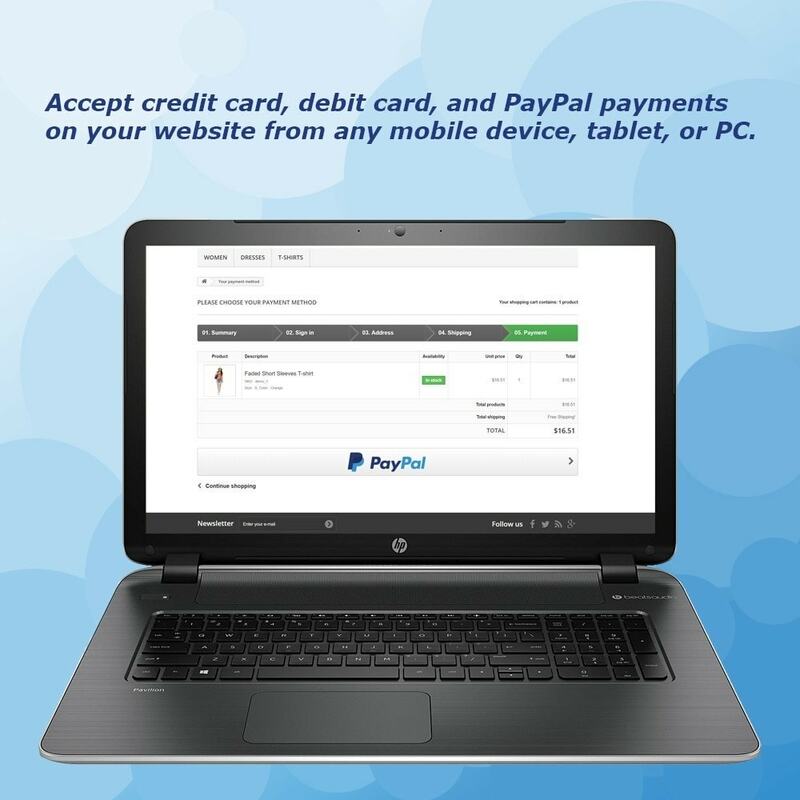 Accept payments to your Business or Premier PayPal account using PayPal Payments Standard. PayPal Payments Standard provides payment buttons as a quick and easy solution for accepting payments. Payment buttons let you securely accept credit card, debit card, and PayPal payments on your website from any mobile device, tablet, or PC. What's included in PayPal Payments Standard? 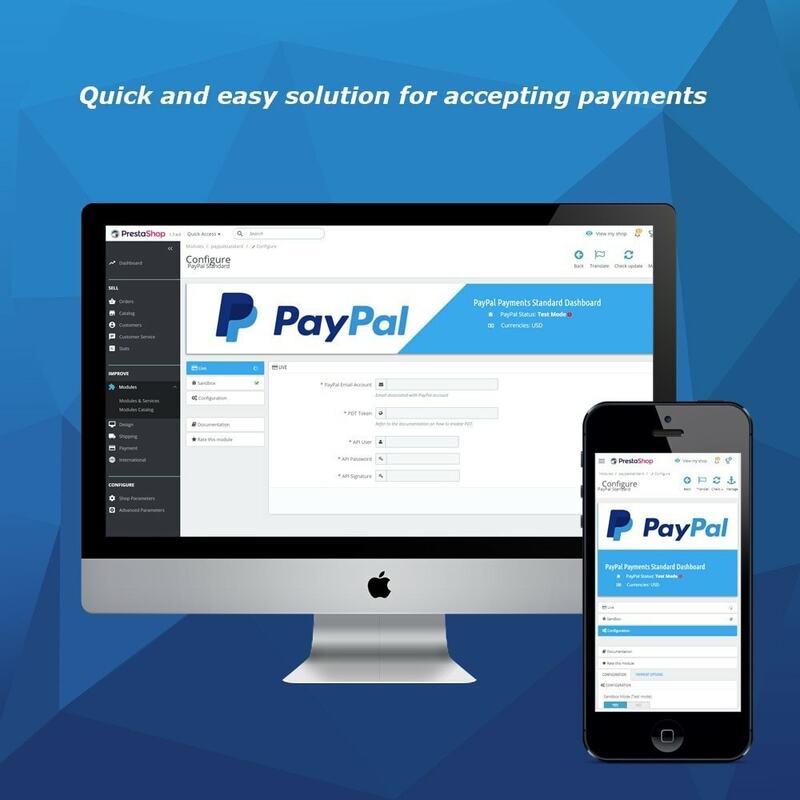 PayPal Standard implements the ability to use both PDT and IPN notification services. With PDT, your site is notified immediately when a customer completes payment. With IPN, however, there is a material lag between the time a customer completes payment and the time your site receives notification of this event. PDT has a a major weakness: it sends order confirmations once and only once. As a result, when PDT sends a confirmation, your site must be running; otherwise, it will never receive the message. With IPN, in contrast, delivery of order confirmations is virtually guaranteed since IPN resends a confirmation until your site acknowledges receipt. For these reasons, we include the best of the two and include them both! Use the Custom Checkout to tailor the PayPal checkout experience to match the style of your website or use the built in design. You can add your own PayPal Check Out Logo and change the background color. The following page details multi-currency support for PayPal payment transactions using PayPal Payment Standard and other PayPal products. Running an online business is challenging. With PayPal Payments Standard, PayPal handles the complete checkout experience and then returns the user to your site so you can start selling without the hassle. You must have a PayPal Business or PayPal Premier account to create payment buttons. There are no startup or termination costs. See PayPal Payments Standard for information about per-transaction fees. Use payment buttons in any country where PayPal is accepted. You can hold multiple currency balances in your PayPal account or convert a currency balance at competitive rates. International fees vary; see Transaction fees for cross-border payments. Install and enter your PayPal account and API information. Follow the documentation for more detailed instructions.